Sometimes, finding a good travel insurance policy when you have prostate cancer can feel difficult. We consider all medical conditions for travel insurance, including cancer and have up to unlimited medical expenses with our Comprehensive policy. Find out more below. A lot of insurers won’t cover people living with cancer. But we believe that having a pre-existing medical condition shouldn’t be a barrier for you having peace of mind on holiday. That’s why we consider all conditions as part of our travel insurance and can offer cover for 98% of people* that contact us. Where we can’t offer you a suitable policy, we can suggest alternatives that may be able to offer you cover. Find out more about how we can insure you when you’re living with prostate cancer, or in remission below. When you’re ready, you can either get your holiday insurance online or call us on 0800 033 4902. Why should I trust Staysure for my travel insurance? Getting the right travel insurance policy when you have prostate cancer means finding one that can be tailored to your needs. When it comes to your travel insurance, we know it’s worth doing right. 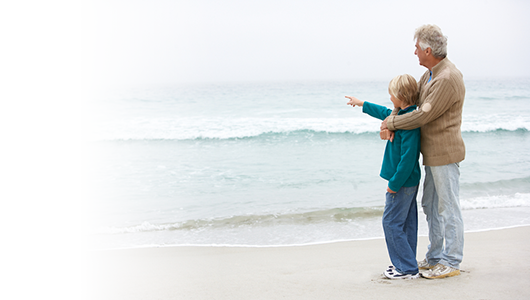 Feeling protected on holiday is about more than just knowing that your insurer is there to reimburse you for the bill. When you choose Staysure, you’ll have a helping hand when you need it most. That’s one of the reasons why we’ve been voted as the Most Trusted Travel Insurance Provider for two years running in 2017 and 2018 by Moneywise. With our 24 hour medical emergency helpline, if you need medical assistance while away, we can help. We can help you find your nearest and best medical facility if you need help. Our multilingual team can even act as a translator between you and your medical team to help make sure nothing’s lost in translation no matter where you are in the world. If you need to be transported back to the UK, or moved to a hospital that can give you better treatment, we send out a dedicated medical professional to look after you on your journey. They’ll even bring you a morning paper as it’s the small things that count. When it comes to paying for your treatment, if your medical fees are more than £350, we’ll try and pay the agreed amount directly to the medical facility where we can. As for helping to reimburse you for lost baggage or anything else we cover, after a claim has been agreed, we pay out 98% within 5 working days*. Do I need travel insurance if I’m travelling to Europe and have an EHIC? If you’re travelling to Europe, you should definitely take a European Health Insurance Card (EHIC) with you. It’s really useful as it lets you have reduced or free healthcare in certain European countries – even if you have prostate cancer. But what it doesn’t do, is act as a replacement for travel insurance. It’s a condition of our insurance that you have and take your free EHIC with you for European holidays. If you’ve used it and are eligible to claim, then we’ll even remove the excess on medical payments. Do I need to declare my prostate cancer if I’ve been in remission for years? It’s always a good idea to declare that you’ve had a condition for travel insurance – even if it was a few years ago. This helps us to make sure you’ve got the best cover possible and means that we can protect you if something goes wrong. Can you cover me if my prostate cancer is terminal or if I’m involved in a clinical trial? If you have received a terminal diagnosis, we may be able to cover you depending on your medical circumstances. But, if you’ve received a terminal prognosis (been given a life expectancy by your doctor or medical professional) we cannot offer you cover. However, we would suggest contacting the British Insurance Brokers Association (BIBA) to assist you in finding appropriate cover. We can also signpost you to InsureCancer.com who can also be contacted on 0845 6490190. Insure Cancer specialise in providing cover for people with active, metastatic, relapsed or terminal cancer, as well as people involved in clinical trials. What if I’m awaiting chemotherapy, radiotherapy or awaiting surgery? Where you’re awaiting chemotherapy, radiotherapy or surgery for prostate cancer, we may still be able to offer you some level of cover. It’s important to know that we would have to exclude all of your pre-existing conditions from your travel insurance if you’re awaiting any of these types of treatment. We would still be able to cover you for other accidents as well as to cover things like lost baggage and delays. But if you had a medical emergency that was caused by any pre-existing condition, then we would not be able to cover you. What information will I need to tell you about the prostate cancer? When applying for travel insurance, we’ll ask you a few questions about your pre-existing medical conditions – including your prostate cancer. This helps us to provide you with the right level of cover. The answers are multiple choice and you can either use our online form or complete our medical screening on the phone. How long ago was the initial diagnosis made? Has the disease ever spread to other parts of the body? If the spread was diagnosed more than a year ago, how frequently are you seeing a doctor about this? Are you taking strong painkillers every day? Are you currently on any form of hormone therapy? Are you currently having any treatment or is any planned? How many (if any) unplanned hospital admissions have you had in the last twelve months relating to the condition? Are you on any treatment for impaired kidney function? Can I fly with prostate cancer? Yes, it is usually safe to fly with prostate cancer. If you’re worried, then you should discuss this with your doctor to check that it’s safe for you to travel. Travellers who have had brachytherapy treatment can set off airport radiation sensors, so it’s a good idea to carry an advice card provided by a doctor saying that treatment with internal radiation has taken place. What happens if my cancer changes once I’ve already bought my travel insurance policy? If your cancer or any other aspect of your health alters after you’ve bought your policy, it’s vital that we know as soon as possible. It may mean there’s an additional premium or change to the cover provided. In some rare cases it may mean that we have to withdraw the cover. *98% of people that contacted us in 2016 could be offered a travel insurance policy. *in 2017 after receiving all necessary paperwork.